Wudang mountain has long been linked with Taoism and is the holiest of China's Taoist mountains. The Wudang Ancient Building Complex of remarkable palaces, temples, pagodas and nunneries and scenic area lie in northwestern Hubei province. It is constructed on the slopes, cliffs and peaks of the verdant Wudang mountain . 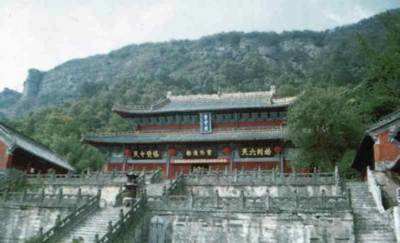 The earliest construction of the Wudang complex dates back to the 7th century Tang Dynasty, but most of the existing structures were built during the Ming Dynasty (14th to 17th centuries).